Aloha everyone, and welcome back to our Master Key blog for week 5. Our week was jam packed again with several areas of new discoveries and observations. We would like to share one of our discoveries and observations with you. This week of the Master Keys we were to hold our verbal opinions to ourselves. We were to give no opinions about anything to anyone period. The only exception to this exercise was that IF we were an expert in a field and someone asked us for our opinion, then we were free to render one. Now most people once they would hear this would get a little curious and may ask the question…“why would you do this?” The answer is simple. We are training our brains. By not giving our opinions this week, we move and keep ourselves into our creative mind and far away from our old blue print. We recognize this as our associative memory. Hannel 3-12…our subconscious mind is intelligent and creative. Our opinions will cause us to create certain Nero nets in our brains thus giving us certain reactions and memories…. thus thoughts. RIGHT? So, by not giving our opinions this week we have replaced some of our old habits with new ones. This may “feel” different for some people because we are becoming the eternal observer. If we are not giving our opinions than we are left to observe our lives as they come at us. Who is used to taking that in without ANY reaction but pure observance? Not US!!! 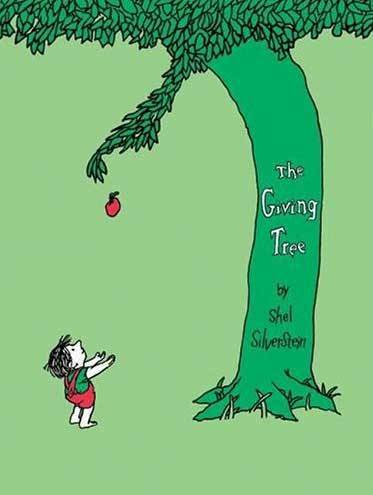 favorite part to remember is that “We cannot receive it, unless we give it”. We ALL have to remember that the more that we give, the more that we get. Let’s take a moment to reflect on this….if we are in a giving or SERVANT heart, what more than anything can we give, it does not matter what, if anything, what we can get back in return. When life is going along in an easy rhythm, this is not a problem. When we spend our time worrying about what others are going to think or say and we pass judgment or throw our opinions into an arena, then this is where we are not the observer. We are in the…”My opinion matters most and I don’t care what anyone else has to say” mode. That right there is like saying…WHO CARES WHAT YOU HAVE TO SAY? WHAT I SAY IS TRUTH!!! So if we continue to give and give and give can we do a total 180 degree flip and it can serve us? YES!!! THE MORE WE GIVE, THE MORE WE GET!!!!!!!!!! Let’s all continue to work to on whatever it is that we put out into the universe. If we look at the baseline moment of this concept, then we should ALL remember this. If we want to achieve NM greatness THAN, we need to serve the NM greatness!! As much as we would like to pour over each word the way that we act is the way that we will out last we. Continue to observe, be that and constant observer without any expectations. This will help to propel you into a world that you can only imagine! Be that observer and look at your life as a reflect to your effort. You are always a constant thought in our Minds Eye! Until then, remember that we are in a constant cycle to better ourselves. How are you doing this? Are you throwing your opinions around like they are a frivolent, flippant thought? OR are your thoughts making that difference that occurs only when you are in perfect harmony with yourself or with those around you? We can’t wait to hear about how YOUR week will impact you and those around your EVERYDAY!!! Keep on shinin’ and let your true light SHINE!! Week 4 – The Power of THOUGHT!